The evolution of Larsen & Toubro into the country's largest engineering and construction organization is among the most remarkable and astonishing success stories in Indian industry. 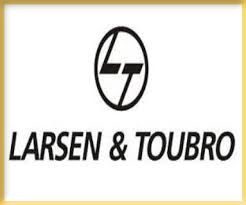 L&T was founded in Bombay (Mumbai) in the year 1938 by two Danish engineers, Henning Holck-Larsen and Soren Kristian Toubro. Both of them were much strongly committed to developing India's engineering capabilities to meet the demands of the industry. Henning Holck-Larsen and Soren Kristian Toubro, school-mates in Denmark, would really not have dreamt, as they were learning about India in history classes that they would, one day, be the one who would create history in that auspicious land. In the year 1938, the two friends decided to forgo the comforts of working in Europe, and started their own operations in India. All they had with them was a dream and the courage to dare. Their first office in Mumbai (Bombay) was so small and tiny that only one of the partners could use the office at a time. In the early years, the two friends represented Danish manufacturers of dairy equipment for a modest retainer. But with the start of the Second World War in the year 1939, imports were restricted, compelling them to start a small work-shop to undertake jobs and provide service facilities. Germany's invasion of Denmark in the year 1940 stopped supplies of Danish products. This crisis forced the partners to stand on their own feet and innovate. They started manufacturing dairy equipment indigenously. These products proved to be very much successful, and L&T came to be recognised as a reliable fabricator with high standards. The war at that time needed to repair and refit ships, offered L&T an opportunity, and led to the formation of a new company, Hilda Ltd, which handled these operations. L&T also started two repair and fabrication shops - the Company had begun to expand. Again, the sudden internment of German engineers due to the war that were to put up a soda ash plant for the Tatas, gave L&T a chance to enter the field of installation and an area where their capability became well respected. In the year 1944, ECC was incorporated and around then L&T decided to build a portfolio of foreign collaborations. By the year 1945, the Company represented most of the British manufacturers of equipment who manufacture products such as hydrogenated oils, biscuits, soaps and glass. In the year 1945, L&T had signed an agreement with Caterpillar Tractor Company, USA, for marketing earth-moving equipment. At the end of the war, large numbers of war-surplus like the Caterpillar equipment were available at attractive prices, but the finances required were beyond the capacity of the partners. This mainly prompted them to raise additional equity capital, and on 7th February 1946, Larsen & Toubro Private Limited was born. Independence and also the subsequent demand for technology and expertise offered L&T the opportunity to consolidate and expand. Offices were set up in Kolkata (Calcutta), Chennai (Madras) and New Delhi. In the year 1948, fifty-five acres of undeveloped marsh and jungle was acquired in Powai. Today, Powai stands as a tribute to the vision of the men who transformed this uninhabitable swamp into a manufacturing landmark. 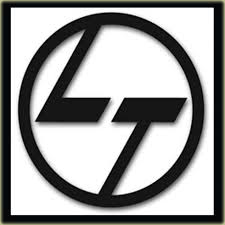 In December in the year 1950, L&T had become a Public Company with a paid-up capital of Rs.2 million. The sales turnover in that year was Rs.10.9 million and also prestigious orders were executed by the Company. During this period included the setting up of Amul Dairy at Anand and Blast Furnaces at Rourkela Steel Plant. With the successful completion of such jobs, L&T emerged as the largest erection contractor in the country. In 1956, a major part of the company's Bombay office moved to ICI House in Ballard Estate. A decade later this imposing grey-stone building was purchased by L&T, and renamed as L&T House - its Corporate Office. The sixties period saw a significant change at L&T - S. K. Toubro retired from active management in 1962. The sixties were also a decade of rapid growth for the company, and witnessed the formation of many new ventures: UTMAL (set up in 1960), Audco India Limited (1961), Eutectic Welding Alloys (1962) and TENGL (1963). By the year 1964, L&T had widened its capabilities to include some of the best technologies in the world. In the decade that followed, the company grew rapidly, and by 1973 had become one of the Top-25 Indian companies. In the year 1976, Holck-Larsen was awarded the Magsaysay Award for International Understanding in recognition of his contribution to India's industrial development. He had retired as Chairman in the year 1978. In the decades that followed, the company grew into an engineering major under the guidance of leaders like N. M. Desai, S.R. Subramaniam, U. V. Rao, S. D. Kulkarni and A. M. Naik. Today, L&T is one of India's biggest and best known industrial organisations which has a good reputation for technological excellence, high quality products and services, and strong customer orientation. It is also taking steps to grow its international presence. For an institution that has grown to legendary proportions, there cannot and must not be an 'end'. Unlike other stories, the L&T saga continues. L&T's design & engineering capabilities in manufacturing had enabled itself to set new benchmarks in terms of scale, sophistication and speed. The Company has dedicated engineering centres at the manufacturing locations. Two 'Technology Development Centres' have been set up to develop new products and manufacturing technologies. L&T also collaborates with other organizations like ISRO to bolster its capabilities in the strategic sectors of aerospace, defence and nuclear power.